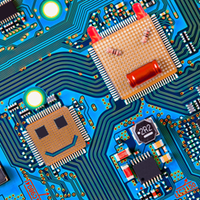 Intelligence Squared Debate: Has Silicon Valley Lost Its Soul? Silicon Valley once promised to solve many of the world’s problems with a technological revolution. But today the tech hub is the center of much scrutiny -- from privacy violations to flawed business models to a lack of diversity -- Silicon Valley has seemingly betrayed its idealism. But the valley's proponents believe that big tech’s detractors simply expect too much from lucrative corporations, and that its original "do good" attitude remains intact. Has Silicon Valley lost its soul? An Intelligence Squared debate with Noam Cohen, Leslie Berlin, Dipayan Ghosh, and Joshua McKenty. May 14: Bitcoin is more than a bubble and is here to stay. Best of the Best presents the winners of the 18th annual Third Coast / Richard H. Driehaus Foundation Competition. From more than 550 entries and 26 countries, twelve stories were chosen as winners that we are thrilled to share. Meticulously crafted and lovingly produced, these stories intrigue, inform and inspire.